Weblog to introduce the product of biomass energy. You intend to use raw materials in order to get the wood particle if you are trying to make wood pellet. There are many kinds of raw materials and the most common one of the most effective materials which is being used today is the sawdust. Pellets are finally held together with lignin, this is naturally present in wood. In addition to those from wood, there is absolutely no need to use glue and other materials in the process of making wood pellet. The ratio of lignin content in wood is now than in 1 to 4 to 1 to 3. Except strengthen wood, it also comes with waterproof performance, all these characteristics make it kind of effective fuel. Generally the end result of wood pellet production process is wood particles. Since the water content decides the quality of the wood pellet directly, it has very low moisture at the 10% or so, which is just proper. It is the basic guarantee of this fact is a very good particles from will not have much energy source, it is useful to evaporation of water. 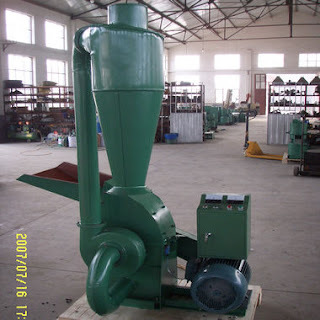 We can meke wood pellets by special created machinery or by the machine called cattle feed machine. And of course the wood pellet machine can provide more quality wood pellets much faster. Wood can make pellets so easy and can be so complicated. The pellet making process can be divided into preparation process, production process and cooling and bagging process three basic parts. Here we will give you a specific instruction of steps, it includes ten steps: size reduction, material transportation, drying, mixing, adjusting, pellet production, screening, cooling, particle transport, bagging and storage. When you are making wood particles you can also use wood instead of sawdust, but you have to use a hammer mill in order to reduce the size of the raw materials that is going to be used. The rotor rotates in broken cavity at high speed drived by motor, and the materials get into machines from the upper feeding mouth and blown, impacted, sheared, grinded and shattered by the high-speed moving hammer, this is working principle of hammer mill. On the bottom of rotor there is a screen panel, crushing material greater than the size of the screen hole will resistance in the sieve continue to be a hammer blow and grinding, finally the sieve out a cake layer; less than the size of the screen hole will get through the sieve and discharged. The results will be thrown into the use of pellet making machine and pressure on to compression in everything you put in. Then material put into hole is the same as making meat paste. This process cannot be done without heat, and lignin will melt helping bind dust together and keeping the shape that is used. Pellets come out of the mill, temperature of about 90 degrees Celsius. When they calm down, they will become hard.